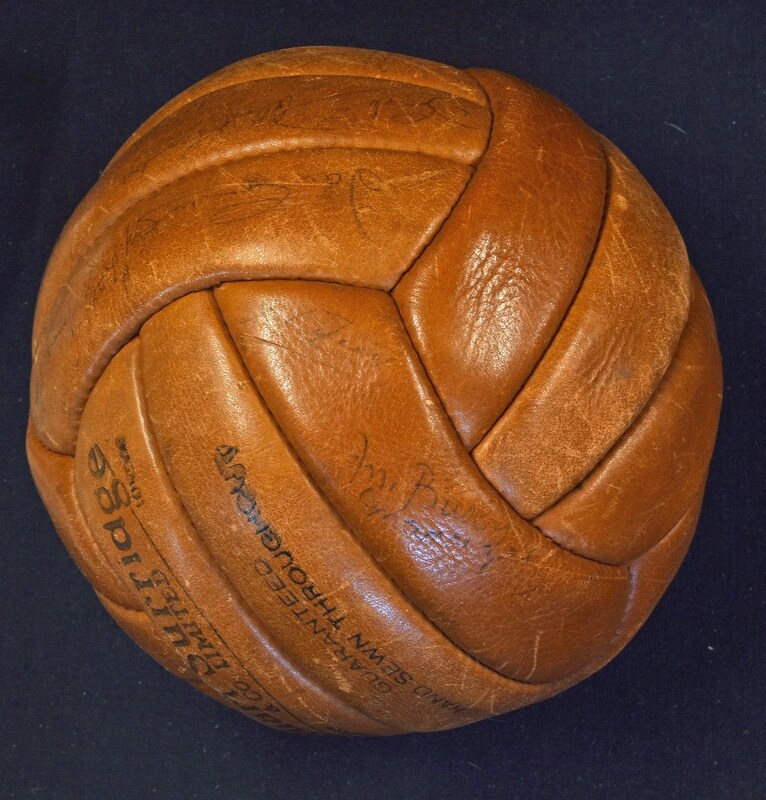 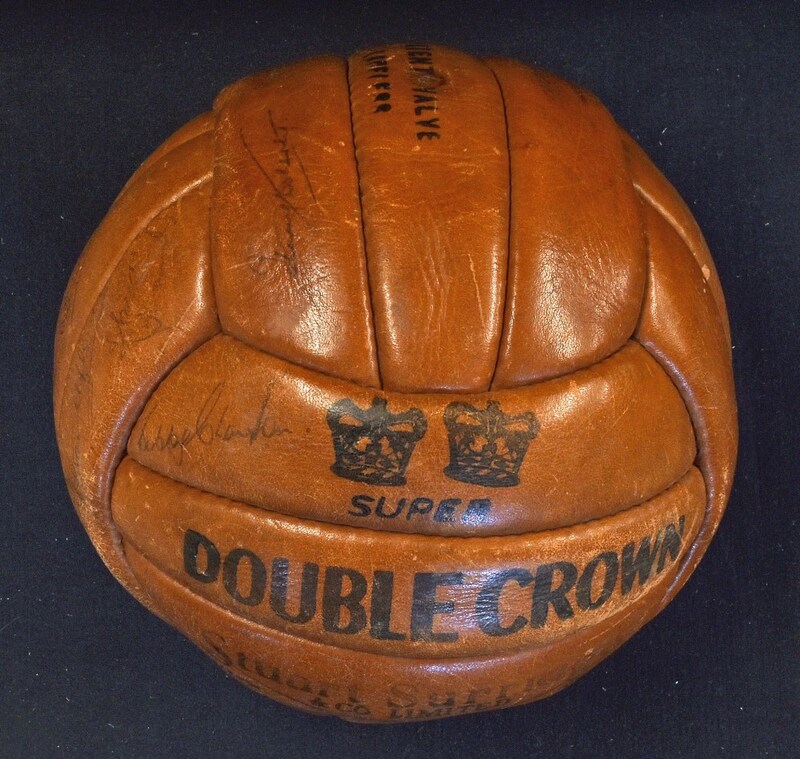 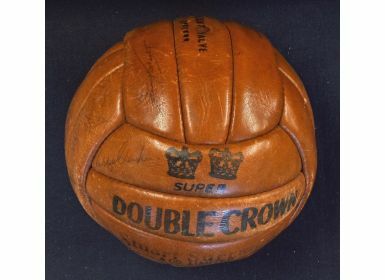 1956/1957 Manchester Utd ‘The Busby Babes’ Signed Football - (Stuart Sturridge super double crown) leather 18 panelled football, autographed by the Busby Babes to include players management and staff. 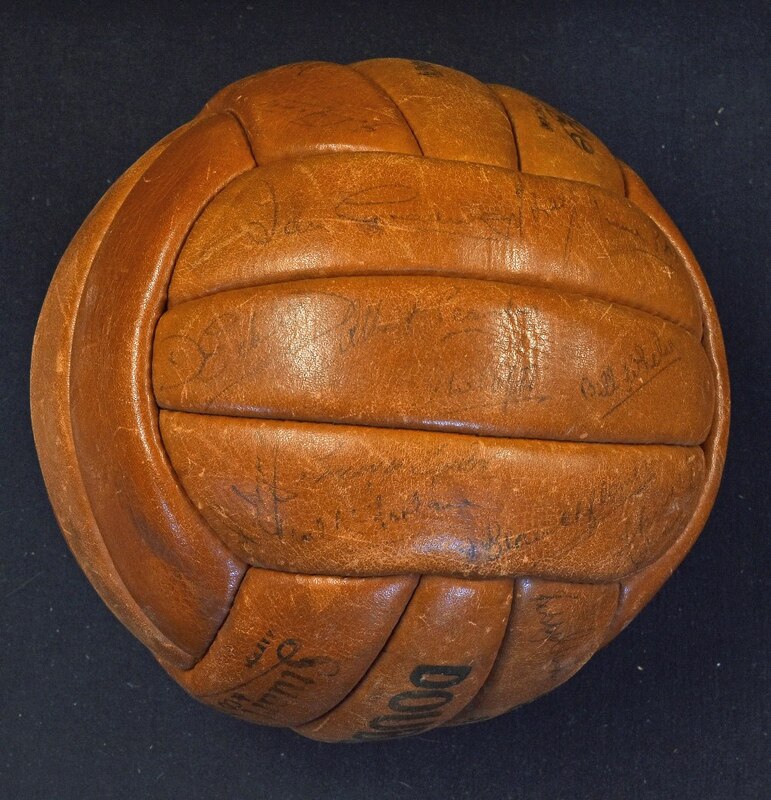 Players are Ian Greaves, Johnny Berry, Ronnie Cope, Duncan Edwards, Albert Scanlon, Jeff Whitefoot, Liam Whelan, Roger Byrne, Tommy Taylor, Jackie Blanchflower, Noel McFarlane, Bobby Charlton, John Doherty, Colin Webster, Geoff Bent, John Scott plus Matt Busby and Tom Curry. 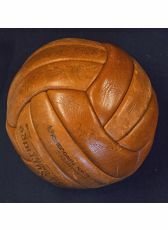 Originally featured in a local Stretford Social Club (1957) and, in recent times, on display in the National Football Museum. 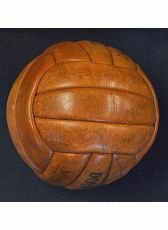 Unique item, worth a view.